Peace Education Development Forum for Spreading a Culture of Peace" is held in Seoul, Republic of Korea on September 17th. 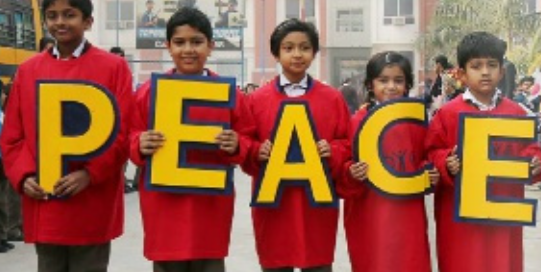 Under the current global environment shaded by long=term violence around the world including terrorism and inter-ethnic conflicts, the international society is seeking a conflict resolution through a long-term approach to peace-building-education. According to a press release HWPL sent to WIC, beginning in 2014 with peace initiatives on global cooperation in international law for peace and religious harmony, the World Alliance of Religions' Peace, WARP Summit has been hosted annually by HWPL to advocate participation of people form all levels of society in peace-building. Among its projects, followed by the high-level meeting with education specialists in 2016, detailed action plans in peace education for students and citizens will be introduced this year. "Peace Education Development Forum for Spreading a Culture of Peace" will be held by Heavenly Culture, World Peace, Restoration of Light, HWPL, an international NGO under the United Nations Department of Public Information, UNDPI on September 17th at Seoul, Republic of Korea. In the forum under the 3rd Annual Commemoration of the World Alliance of Religions' Peace, WARP Summit of Peace, 70 global experts n education including ministers of education, presidents of universities, professors, principals and teachers from 21 countries will participate. According to HWPL, this forum will address in-depth discussions in "the establishment of a network for global educators to co-develop education contents and spreading a culture of peace through peace education". "I have a high expectation of this very venue to discuss peace education for educators with different cultures and nationalities to make peace a reality, emphasized Mrs. Shalilaja Adhikary, Principal of euro School, Nepal. Juan Carlos Torres, Professor of Don Bosco University, said, "I want the upcoming generation to be able to have conflict resolution instead of thing that the person with more guns will win. It is important to teach them how to resolve conflict with a peaceful way and have a peaceful mind. I will attend the education session in the WARP Summit and share about the peace education El Salvador needs with the teachers throughout the world." HWPL has formed a partnership with 117 education institutions globally to endorse and implement peace education by designating them as "HWPL Peace Academy" respectively, which includes India, Israel, Kosovo, and the Philippines. 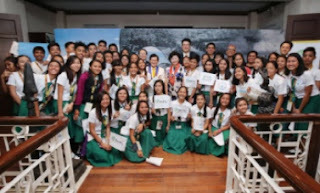 As promoted in the Declaration of Peace and Cessation of War, DPCW proclaimed by HWPL for global peacebuilding, HWPL has been building a cooperation with education specialists around the globe to provide opportunities of education to establish a culture of peace. Along with this forum at the WARP Summit, sessions for peacebuilding by global experts will be discussed, including 2017 Conference for the Implementation of the DPCW, 3rd International Religious Leaders' Conference, Region-Specific Discussion for the Implementation of the DPCW, 5th HWPL International Law Peace Committee Forum, Conference for Global Peace Media Network, and 2017 IWPG Network Forum. 3rd annual WARP Summit is coming up. Extermination of war won't be the wish anymore. The world of peace is coming true. That's because people who has living idea about peace are gathered. The steps of peace which can make war stop has started to gathering the world for peace, international law for cessation of war, DPCW. This 3rd annual WARP Summit conference is the meeting of people who transcend border, race and religion not only taking their own country's benefit but also loving world peace only.